Notizie ed informazioni su Teknomecc. From 28 to 30 March 2019 we will be present at the MECSPE Parma international fair for the manufacturing industry. We invite you to visit our stand where we will present our production of micro turned components and milled components made to design in different materials and for different industrial sectors. From 23rd to 25th February 2019, we will be present at MIDO international exhibition of Optics, Optometry and Ophthalmology. We invite you to visit our stand at PAD 2 STAND H 37 where we will be happy to present you some new products that we have created and support you in the creation of your ideas. we would like to meet the demands of our customers in the various sectors in which we operate in order to reduce delivery times and increase the quality of the turned and milled components we produce. 22/01/2018:Also this year Teknomecc srl will be present at MIDO 2018 on 24-25-26 February at the hall 2 stand h37 ,for the usual eyewear industry fair, where we will be available to any of your requests concerning the development of eyewear accessories, metal or plastic temples, flex and non-hinges, monobloc hinges, torx screws or any other type of small parts produced from bars or special profile according to your needs. 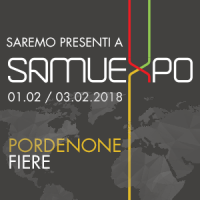 22/01/2018: We will be present at the next Subtech fair to be held on 1-2-3 February 2018 at the same time as SamuMetal, SamuPlast in the Pordenone exhibition area, to offer the opportunity to all those who are looking for reliable partners of small parts or milled to deepen our services. 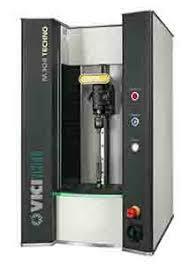 22/01/2018: to optimize the dimensional checks directly in production, we bought an optical measuring machine from the company VICI VISION mod. M304 techno that can be used to measure up to 40 mm and to length of up to 300 mm. 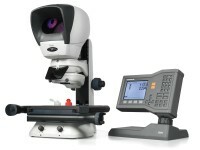 This machine has allowed us to reduce the duration of checks and operator errors. From 25 to 27 February 2017 buyers companies journalists most important sector will meet at MIDO International Optics, Optometry and Ophthalmology. Also this year we invite you to visit our stand at the PAD 2 STAND H 37 where we will be happy to support you to development micromechanics eyewear components. 10/10/2016: In oder to strengthen our quality control system of micro-turned parts we produce, we have entered a new optical measuring microscope Kestrel Elite Vision Engeenering model that allows us to make measurements also of milled components in black or clear plastic. 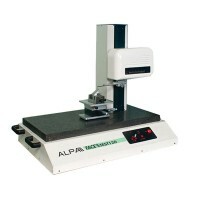 07/10/2016:With the inclusion of roughness meter Alpa TL90 we can measure the micro irregularsurface, not only flat, of turned and milled components during the production process and maintain the high quality of the surfaces required by our customers. 20/09/2016: To improve the surface quality of our components turned and milled, especially in the fashion industry, We have boosted the tumbling department with the inclusion of a centrifugal disc finishing machine that allows lower cycle times, better surface finishes, including the microcomponents. Mido 2016, the International Exhibition of Optics, Optometry and Ophthalmology, offers cutting-edge products and technology presenting every year new lines and trends in the eyewear business in Fiera Milano Rho – Pero, from Saturday 27th to Monday 29th February 2016. we’re looking forward to show you the latest micromechanics components for eyewear made by the latest CNC machine purchased. Subtech is the biennial exhibition which will be held from Wednesday, February 3rd to Saturday February 6th along with the Samumetal and Samuplast exhibitions.. Visit us at Hall 3, stand 34, we will offer our support to create your turned Micromechanics Components. 12/11/2015: In the last years we have received always complicated components to realize, therefore with a Delcam Part maker cad-cam programm we can save much time to setup our machines park. 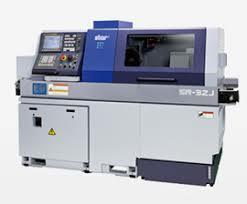 02/09/2015: Considering the request of increasingly complex turned components, we decided to invest in a sliding headstock of one of the most important companies in the world, by inserting in our park machine, a lathe Star sr 20 IV 9-axis and 27 tools. 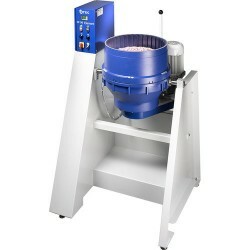 This type of machine is suitable for the production of components of medium and high complexity within 22 mm of diameter. It will be used especially for the realization of complicated eyewear components, small metal parts for leather goods, metal accessories for footwear, complex turned components. 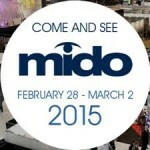 Mido is the International Optics, which takes place in Milan from 28 of February to 02 of March , 2015. Visit us at our booth, (booth , Pad. ) we will show the parts of glasses that we have produced regarding the small parts for eyewear and the new flexible hinges for wooden and plastics eyewear. 16/09/2014 New entry : Lathe with sliding headstock 7 axis, suitable for the production of turned moderately difficult parts. We produce in the field of components for optical components, fashion accessories, micromechanical components, medical components, and components for automation. From next September we will transfer with all production in the new factory inside industrial area of Colmirano, common of Alano di Piave (BL), so we can offer an even more efficient service to our customers. 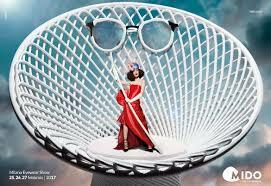 Mido is the International Optics, which takes place in Milan from Saturday 01 to Monday, March 3, 2014. Visit us at our booth, (booth Z04, Pad. 22) we will show the parts of glasses that we have produced in the last year from the simple special screw to the closing block joint more complicated. 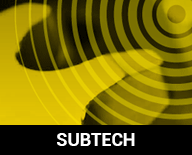 Subtech is the Biennial exhibition of subcontracting engineering, which will be held in Pordenone from Wednesday, January 29th to Saturday, February 1, 2014. Visit us at Hall 3, stand 34 for more information. 04/03/2013: New entry, Lathe with sliding headstock 7 axis. We exhibited at the fair Mido 2013 in Milan, from 2 to 4 March 2013. We exhibited at the fair Fornitore Offresi 2013 in Como, from 8 to 9 February 2013. We exhibited at the fair Mec-Spe 2012 in Parma, from 29 to 31 March 2012. 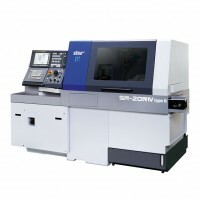 06/05/2011: New entry, Lathe with sliding headstock,Deco 26 A, 12 axis, with high pressure pump. Vi aspettiamo al salone biennale della meccanica e subfornitura Venmec di Padova dal 25 al 28 Novembre 2011. Fiera della subfornitura Mecspe di Parma, in programma dal 24 al 26 Marzo 2011. Erba (Como) il 28 e 29 Gennaio 2011 alla fiera «Fornitore Offresi», al Pad. C Stand 516 di LarioFiere. 04/11/2010: New entry, Lathe with sliding headstock,Deco 13 Basic, 8 axis. Fiera della subfornitura tecnica Sfortec, in programma dal 5 al 9 Ottobre 2010 a Milano. Abbiamo partecipato alla fiera della subfornitura Mecspe di Parma, in programma dal 25 al 27 Marzo 2009.